Dominant wins for Connah’s Quay and The New Saints saw the both sides keep their title challenge on track on Friday night. 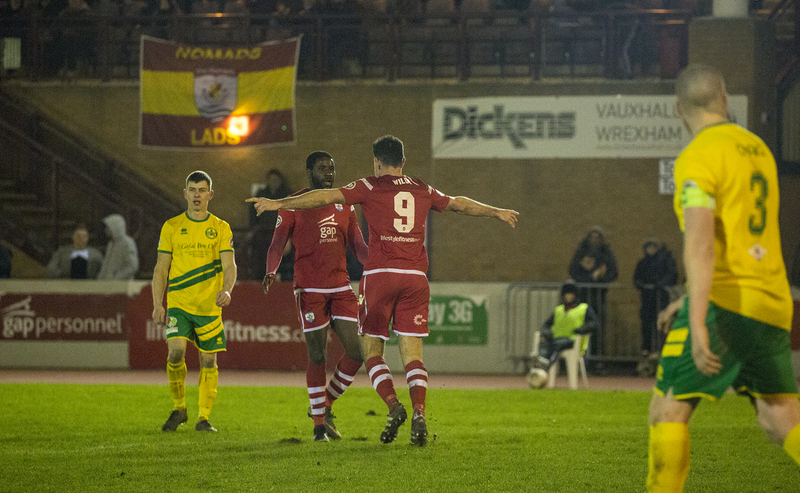 Welsh Premier League leaders Connah’s Quay maintained their 100 percent start to Phase 2 with a 6-2 win over Caernarfon Town, while The New Saints beat Newtown 5-0. Llanelli Town’s survival hopes were dealt a blow after they suffered a 4-2 defeat to Aberystwyth Town. Callum Morris claimed a first-half hat-trick as he converted twice from the penalty spot after Caernarfon’s Nathan Craig successfully replied with a spot-kick of his own in what proved to be an eventful opening 34 minutes. Caernarfon were rewarded for their strong start to the second-half when Cai Jones reduced the advantage, before Dundee United loanee Adam Barton settled the Nomads by adding a fourth, volleying in from five-yards. A late surge inside the final ten minutes saw the Nomads wrestle control of the game with Michael Wilde pouncing on Michael Bakare’s cross. Bakare then put himself on the scoresheet with a curling finish past Alex Ramsey. Greg Draper scored twice after coming off the bench as The New Saints put five past Newtown at Park Hall. Draper scored twice in the final 15 minutes to seal a comfortable win for the champions after Ryan Brobbel, Jack Bodenham and Andy Mullan had given Scott Ruscoe’s side a commanding lead. Aberystwyth stunned Llanelli scoring three times in the closing stages of the first-half. Paulo Mendes and Wes Baynes were both on target before in-form veteran Geoff Kellaway fizzed in an effort from outside the area. Joe Clarke’s second-half header gave relegation threatened Llanelli fresh hope until Marc Williams cut the ball back for Kellaway to claim his second of the night. Llanelli were back on the scoresheet again a minute later when recent signing Joe Hunt curled in a free-kick, despite late chances at both ends the scoreline remained unchanged. Friday: Connah’s Quay 6-2 Caernarfon Town, Llanelli Town 2-4 Aberystwyth Town, The New Saints 5-0 Newtown. Saturday: Llandudno v Carmarthen (2.30), Barry Town v Bala Town (7.30, live Sgorio game). Sunday: Cardiff Met v Cefn Druids (2.30).